It's been cool to see some of the better tenkara-friendly blogs release a stream of new material after periods of silence. 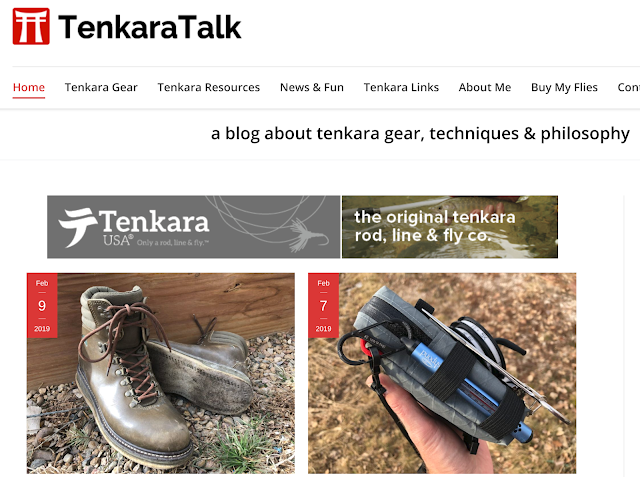 First off, Jason Klass has been on a roll lately pumping out new posts over at Tenkara Talk. A lot of the recent entries have been gear-oriented - flies, packs, boots, accessories - so before you hit the water, head over to do some serious reading so you can figure out what you may (or may not) need to bring along. Additionally, Anthony Naples has resuscitated his Casting Around blog. I always enjoyed Anthony's writing and the latest installments are no different. 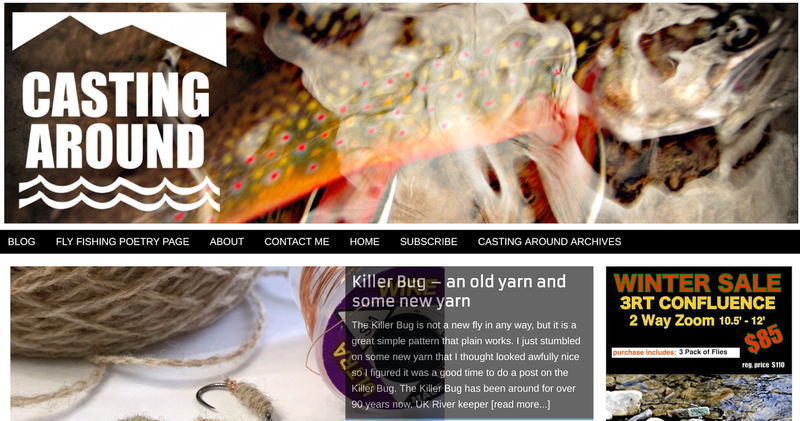 A few new entries on flies and fly tying have been extremely informative reads. This week, two tenkara-themed e-magazines were released, so if you're into that sort of thing you're in luck! The first, the February issue of mounTEN, Tenkara USA's zine, is wonderfully composed with a feature on Katsutoshi Amano. There's also a fascinating look back at their "launch" video... you know the one that got everybody asking, "but where's his reel? ", and of course, the fantastic artwork of Jeremy Shellhorn. Heck, you might even see a familiar name or two in the article about Tenkara USA's best-selling rod, the Sato. Check it, you won't regret it. So, looks like you've all got a lot to read and watch now... I hope you enjoy it all as much as I did! Wow, thanks for the shout out Mike!